Thirty years ago, on March 31, 1981, U.S. Patent 4,259,444 was issued to inventor Ananda Chakrabarty, on behalf of General Electric Company. The subject matter, a new single cell life form, was rejected by the United States Patent and Trademark Office, and it was only after appeal all the way to the U.S. Supreme Court that the patent was allowed, breaking ground for future patents for “genetically altered life”. In its 5 to 4 decision, the U.S. Supreme Court decided that Chakrabarty’s genetically engineered bacteria, a new single cell life form modified to create an oil-dissolving microbe, was patentable subject matter. (You can link through to the Court’s Opinion at http://www.innovativeip.us/images/447.US.303.79-136.pdf). 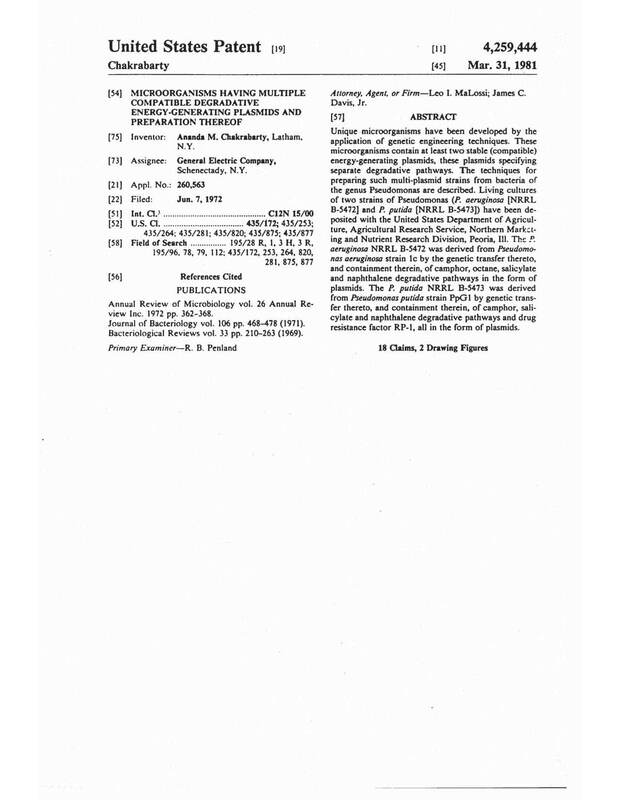 The resulting patent cleared the path for patenting genetically-produced material. Scores of genetically engineered plants and animals and human genes have since been patented, recognizably including patents for billion dollar monoclonal antibody drugs. Amazing what can be accomplished in just a quarter of a century! 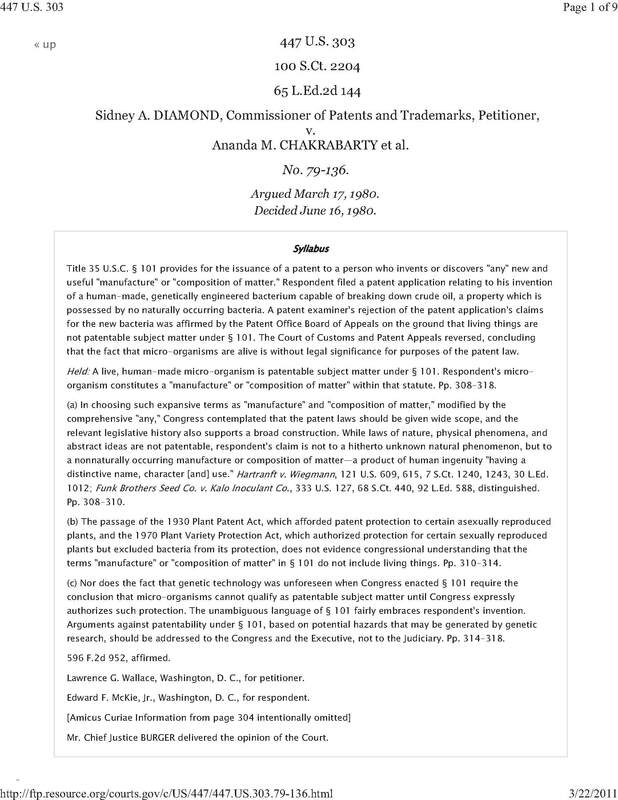 If you’d like to read the Chakrabarty patent, link over to http://www.innovativeip.us/images/US4259444.3.31.pdf. Enjoy!